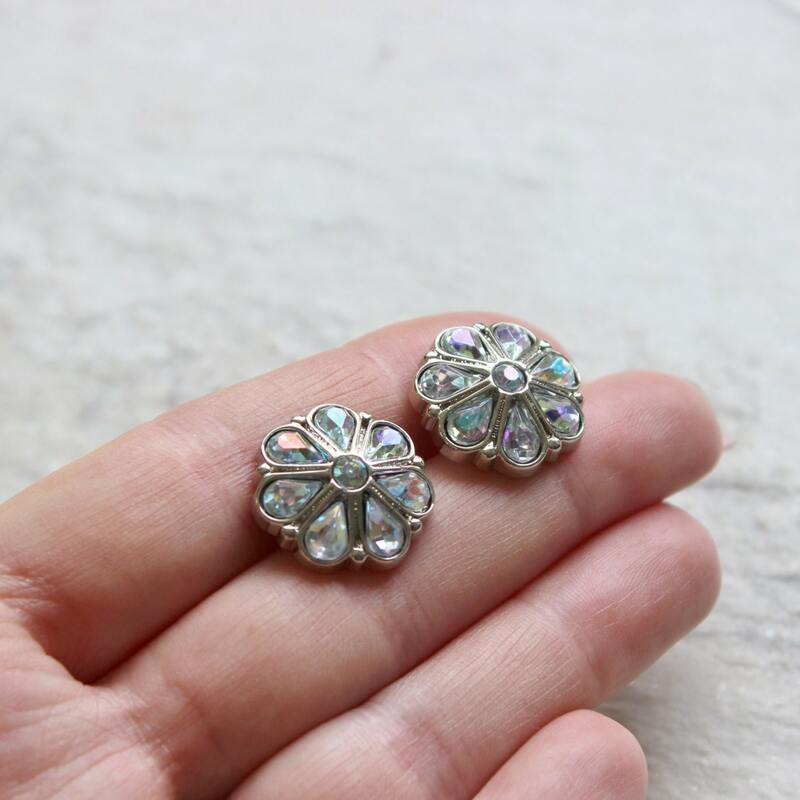 These beautiful iridescent crystal flower earrings are perfect to add a touch of sparkle! 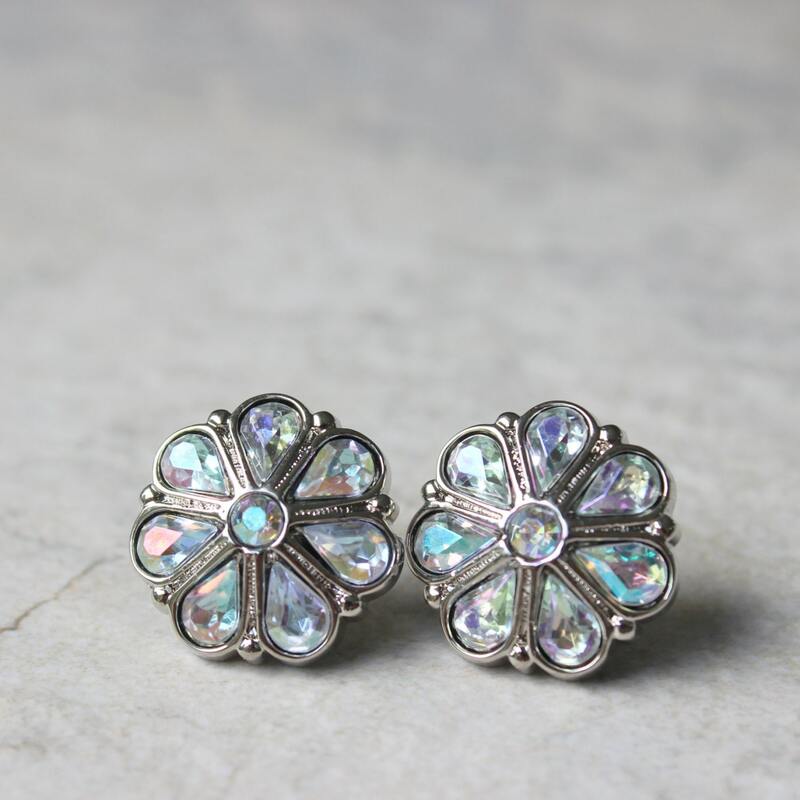 These would be great for prom or bridesmaids. 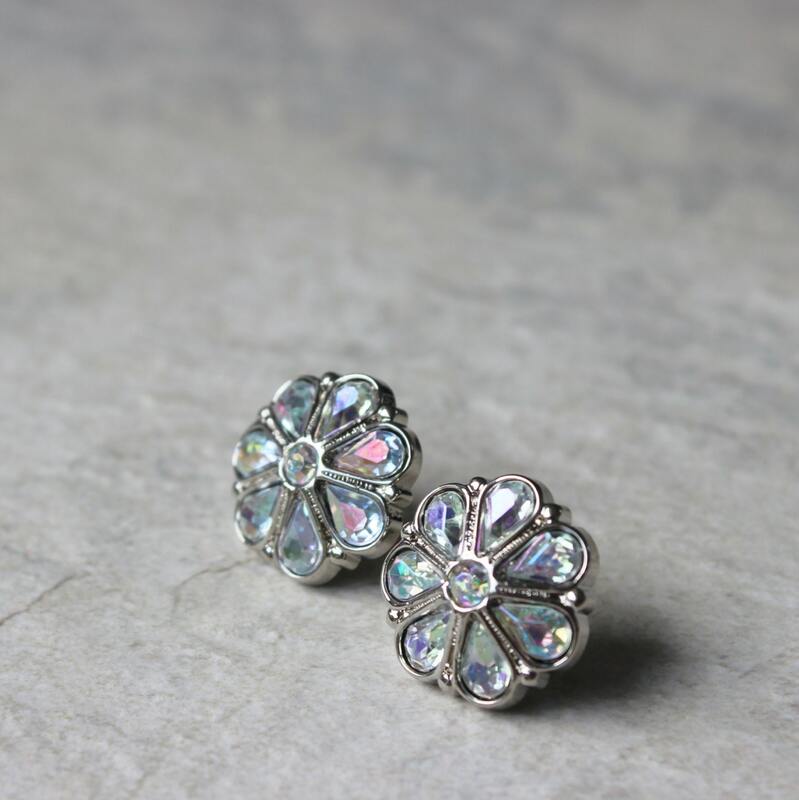 Each pair is packaged in a cotton-lined gift box with outer bow. 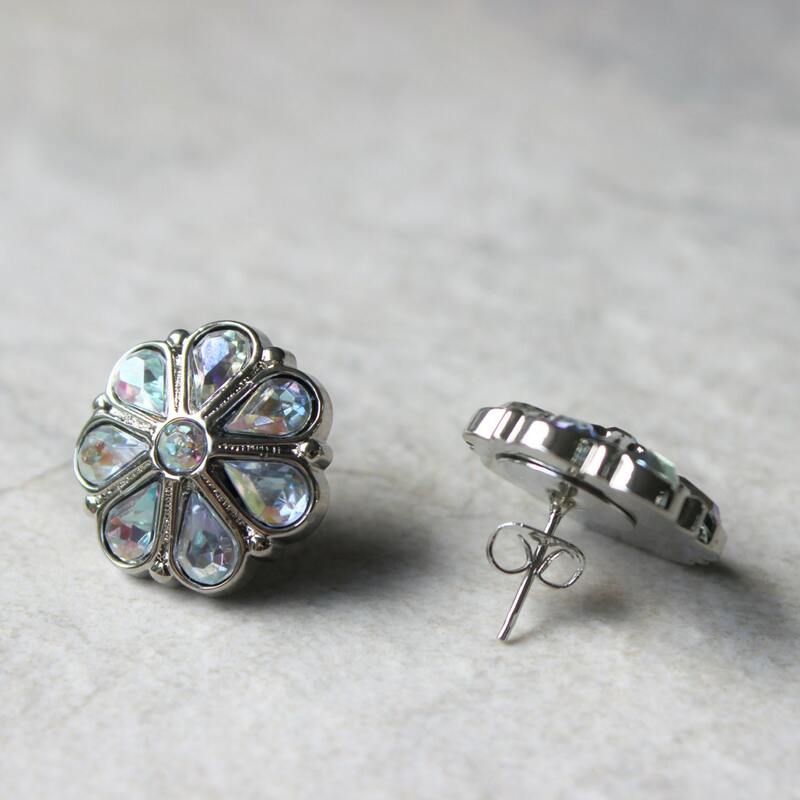 The earrings are 3/4" wide (19mm) with hypoallergenic surgical steel posts and disc backings.